A cosy style, a great play with matter and surprising acoustic properties. 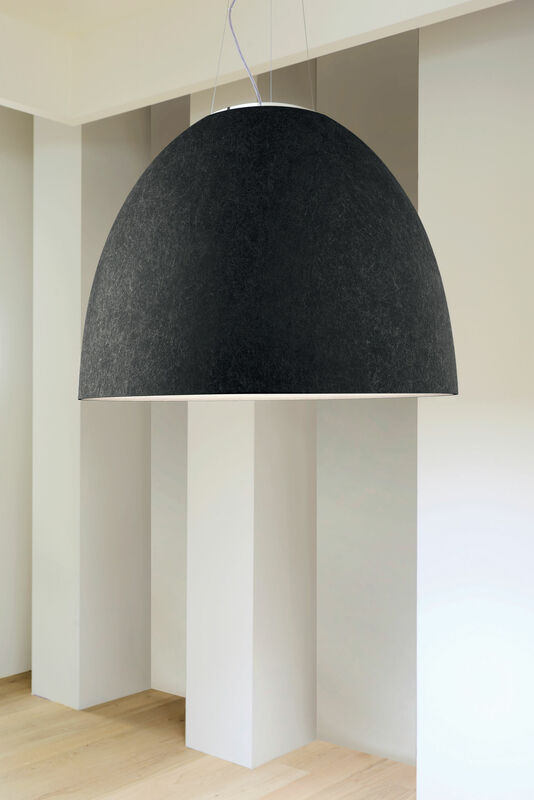 The emblematic Nur ceiling light is available in a new version, lined in PET felt. Elegant and functional, this material is also very functional: it absorbs sound and reduces reverb. The bell shape of the lampshade improves these properties, trapping and absorbing sound inside the ceiling lamp. 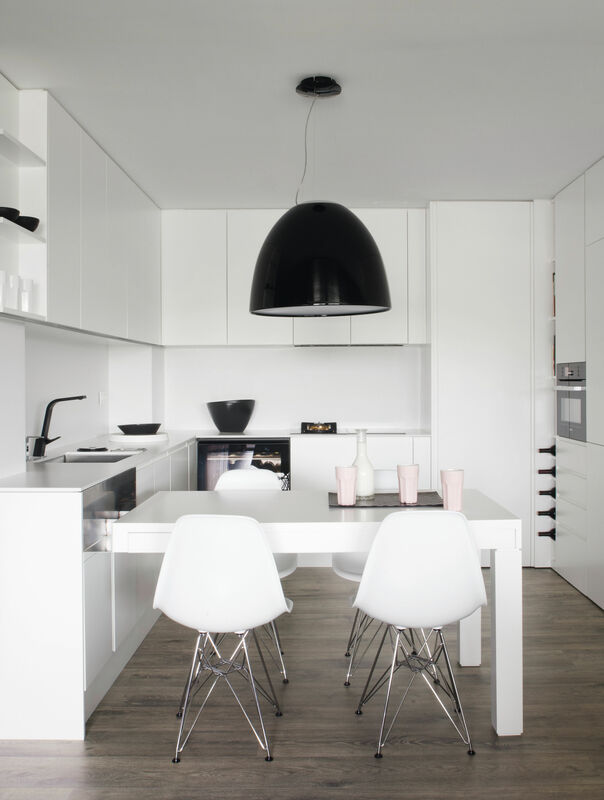 By reducing noise, this ceiling light creates an intimate and protective atmosphere. A real bubble of tranquility for every one sitting under the dome! Ideal in a living room, above a dinner table, this acoustic ceiling light is also suited to the challenges of public areas: restaurants, bars, meeting/conference rooms, museums, libraries, hotel lobbies, etc. 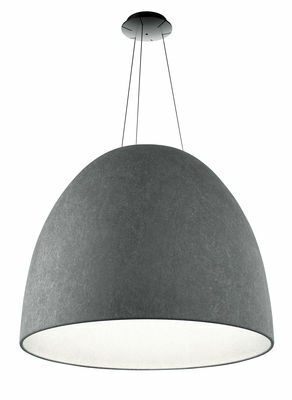 The outside of the lampshade is dark grey and the inside is white. This two-colour finish improves the quality of its light. A sanded glass cap on the top lets light through, creating a decorative pattern of light on the ceiling.